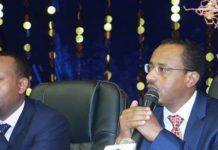 Home News & Analysis MENA Djibouti: What Lies Behind The Ambitious Investment Program Of The “New Dubai”? On June 27, 1977, The New York Times reported the proclamation of independence of the “troubled” Republic of Djibouti, a tiny state with “no resources except sand, salt, and 20,000 camels.” Thirty years later Djibouti has become a coveted location for foreign investment with major powers competing over its 9,000 sq. miles of territory located on the Bab al-Mandab strait, a chokepoint between Yemen and the Horn of Africa. A key strategic crossing point between the Gulf of Aden and the Red Sea, the Bab al-Mandab strait grants access to the Suez Canal and to the European and American market for oil, petroleum and natural gas shipments from the Persian Gulf. An estimated 4% of the world’s total oil supply was transported through Bab al-Mandab in 2013 (approximately 3.8 million barrels per day) and trade has been booming since then. Djibouti is today striving to become the “new Dubai,” a commercial hub for Eastern Africa and an outpost for its powerful Ethiopian neighbor. The clearest symbol of the strong economic interdependence between Ethiopia, whose landlocked location has been a hindrance for development since the late 19th century, and Djibouti, is the Addis Ababa-Djibouti City railway line. Originally financed by the French colonial empire, the cross-border line has been replaced by a Chinese-built, fully electrified, $3.4bn railway. 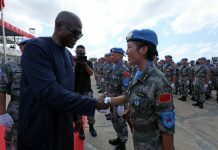 More than a metaphor for the changing power games on the African continent, this new route is expected to be a major boost for the two economies on each end of the line. Ethiopia’s use of Djibouti’s ports has more than tripled since 1993, and the country’s demand for refined oil products is growing at a rate superior to 15% per year according to the Black Rhino Group, threatening to outstrip the capacity of its truck transportation system. In the face of this threat to future growth in Ethiopia, Black Rhino Group is developing a multi-product fuel pipeline project in a joint venture with Mining, Oil & Gas Services (MOGS), a subsidiary of Royal Bafokeng Holdings. The multi-billion dollar investment, which was approved by President Ismail Omar Guelleh of Djibouti and Prime Minister Hailemariam Desalegn of Ethiopia, is part of the economic integration projects promoted by both statesmen. Unfortunately, this interdependence of infrastructure development in Djibouti and economic growth in Ethiopia could present some major risks for Djibouti. 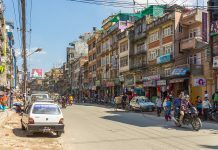 Booming infrastructure development in this small nation has greatly outpaced domestic human development indicators. Djibouti’s HDI value for 2014, 0.470, puts the country squarely in the low human development category. The FDI inflows to Djibouti have indeed been sudden and targeted mostly towards infrastructure, widening the gap with some basic components of development such as education and employment. The poverty rate currently stands a 79% and remains a major issue, especially in conjunction with an overall unemployment rate of 50%in 2012. While port activities and related sectors account for 70% of GDP, the sector is not labor-intensive and creates few jobs. The country relies entirely on Ethiopia to provide for basic human needs such as drinking water (a daily supply of 103,000 cubic meters of potable water is provided to Djibouti by the Ethiopian government free of charge) as well as electric power. The last major drought caused a loss of income that amounted to 4% of GDP annually between 2008 and 2011. At that time, the stock of external public and publicly guaranteed debt represented 48.4% of GDP. Two years later, in 2015, external debt accounted for 65.7% of GDP. The IMF projects this figure will reach almost 80% of GDP by 2017. Double to triple digit external debt is rather widespread amongst developing countries, but it is a source of concern in Djibouti because of the source of financing of the country’s ambitious infrastructure investment program. The tertiary sector development in Djibouti is mainly financed through non-concessional borrowing. While the World Bank approved $43 million in concessional financing to Djibouti for 2016-17 to fight extreme poverty in the country, the accumulation of external debt through third-party lenders on non-concessional terms creates a risk of free-riding and raises the issue of debt sustainability. In the case of Djibouti, China is the prime lender financing the transformation of the country’s economy at non-concessional rates, with loans amounting to more than $1 billion according to the Financial Times. The issue of debt sustainability is all the more worrisome because most infrastructure projects financed by China are deeply intertwined with the Ethiopian economy. With foreign investors under attack in Ethiopia and turmoil linked to the monopolization of power by the Tigray People’s Liberation Front, the Ethiopian government is facing a crisis the outcome of which is unpredictable. This uncertainty could have a major impact on the Ethiopian economy. A shock to Ethiopian growth and stability has significant implications for Djibouti’s economy and its risk of debt distress because 50% of the modern Ethiopian economy is controlled by conglomerates affiliated with the ruling party in that country. President Guelleh lamented in an interview that “for a long time [the] country stagnated due to a lack of a global vision that incorporates regional input.” Today, Djibouti’s economic transformation is well under way, driven by an ambitious infrastructure investment program. Growth must, however, be more inclusive in order to reduce widespread poverty and unemployment. Additionally, the public capacity to evaluate and monitor investment projects must be strengthened, according to an assessment of the IMF Executive Board. 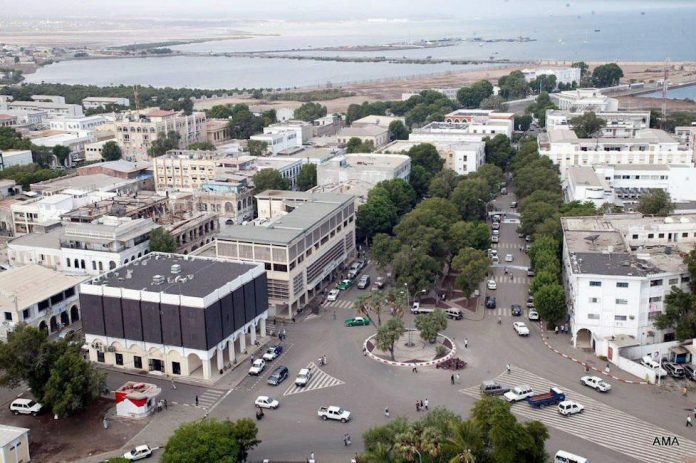 Its location is both a blessing and a driver of uncertainty for Djibouti, and the way the government handles the financing of the new investment program could be a major determinant in the nation’s future growth. Constance Hubert is Political Risk Analyst at Global Risk Insights.